Nature’s Poem Inspire Create Challenge Sketch. 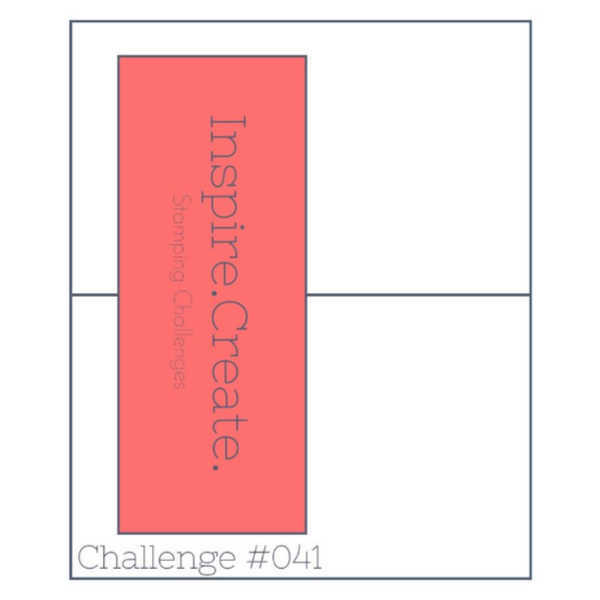 It is time for me to share my project for the new Inspire.Create.Challenge. This time it is a really simple Sketch which could be interpreted in so many ways. Indeed it has been, because I have already seen what the other members of the Design Team have come up with to inspire you. I have decided to use a couple of the very last pieces of Nature’s Poem Designer Series Paper for my project. Every month I send my Team a little product pack and challenge them to make as many projects as they can with it. I ask them to share these projects in our Team Facebook Group. 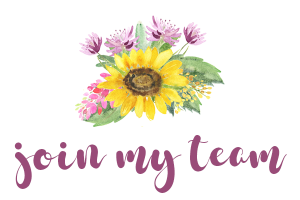 At the end of the month I do a random draw and the winner gets a voucher from me that can be exchanged for product of their choice. There are a number of ways they can earn these vouchers, most of which are to do with Sales and Promotions, so Team Members who are running a business get lots of chances. The Monthly Challenge is a way that any of the Team can earn a voucher. they can save them up if they want, it is up to them. Later this month I will share their amazing projects with you. Back to my card. I chose two of the patterns that I felt would not overwhelm the feature pieces, and cut them both to 5-5/8″ x 3-7/8″. Keeping them layered them up and cutting them at the same time, meant I knew they would be exactly the same size. I then cut them, roughly, in half (again, I did this in one pass on the trimmer). These were then layered onto a Rich Razzleberry card front. To cover the join, I cut a length of the matching velvet ribbon, angling the ends. This was adhered to a length of Tear n Tape before being stuck to the card. I find it much easier to add the tape to the ribbon, rather than sticking it to the card and then trying to cover it all. 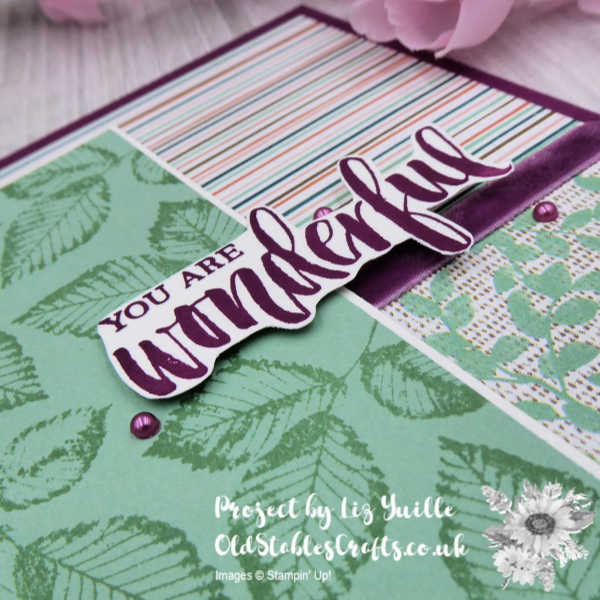 The Mint Macaron panel has tone on tone stamping, using one of the leaf images from the matching stamp set. This was matted onto a piece of Whisper White and then added to the side of the card with Dimensionals. I stamped the sentiment in Rich Razzleberry and then fussy cut it out (come back next Tuesday for hints and tips on doing this well). This was also added using Dimensionals, but I did a double layer for the area that was not over the Mint Macaron mat. The final touch was some Artisan Pearls added in my favourite triangle. If you watch the video you will see that I did not stamp the Mint Macaron leaves very well in one area. Happily, with careful placing, this was covered by the sentiment! Do take a look at the projects from the other Design Team members. There are some fantastic ideas and lots of different interpretations of the sketch. As there should be!! Just click on the Sketch Image above. Please remember that the Retiring List is now live. 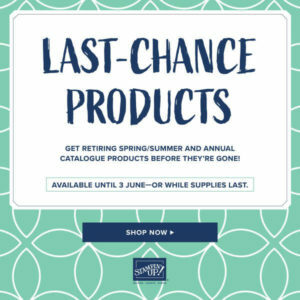 If you want any of your favourites NOW is the time to get them. 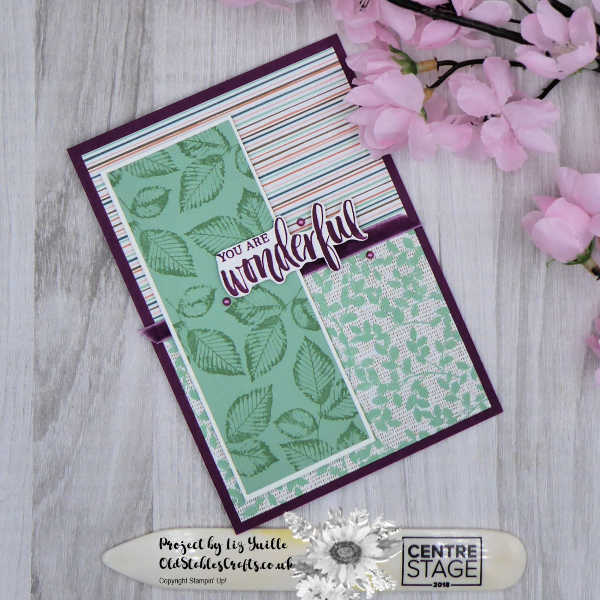 The Rooted in Nature Stamp set and dies are carrying over to the new Annual Catalogue BUT not as a Bundle. Remember that Bundles save you 10%, so if you want to save money, get any bundles NOW. I have listed the bundles in the information below so it is easy for you. PLEASE NOTE that these do show as retiring, but ONLY because they are transitioning to the new Cling Mount format. See the full Retiring List by clicking on the Last Chance Image.